A young woman, named Cora Burns, hears the gates of Birmingham Gaol closing behind her. She is free from her incarceration but not from her past. A horrible dead has been haunting her for three years and doubts over her mother will not let her rest. Her chance comes when she starts working as a maid in the house of a scientist who hides his own secrets, feeding his own obsessions. In the search of her past, she needs to discover herself and this is the most terrifying prospect. 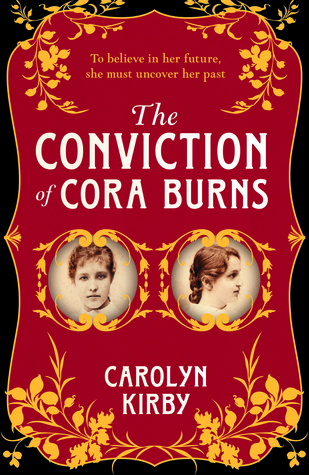 The story of Cora Burns is memorable not because of the plot but because of the questions it poses and the opportunities for discussion. The plot is intricate and complex but it is not unique. We’ve seen this premise before and we will see it again. This is not a negative feature when the writer has the means to create a successful result and Kirby definitely knows what to do. Through confident and atmospheric writing and with an accurate, faithful depiction of the era, she focuses on themes that are always relevant and highlights the endless fascination to unlock the depths of human nature. What is the difference between social assumptions and reality? What is it that makes each one of us unique? Billions of people call this planet ‘’home’’, each one of us with a unique background, a personal story and yet closely connected to each other. What constitutes our temper? How easily can our mood change? How can our temperament lead us to happiness and success or to misery and punishment? Can our genes make us criminals? Is evil inherited and developed? Can we escape a dark heritage? And, ultimately, what turns a human being into a ruthless murderer? A Historical Fiction novel that poses such questions can only be successful in conception and execution alike. Through scientific essays, medical accounts circa 1880s that may be fictional but no less interesting, following a route that passes through the horrible reality of the gaol and the asylum, through the slams where mothers need to sell one of their children in order for the rest of them to survive and the wealthy estates whose owners play a wicked game with the fate of those who are less fortunate, we are guided by a young woman who is one of the most gifted characters I’ve seen in recent Literature. I’ve always had an affinity for the name ‘’Cora’’, ever since I first read The Last of the Mohicans and Cora Burns didn’t disappoint me in the slightest. Although it is hard to end such a complex story in a fully satisfying and plausible way, Kirby succeeded. I couldn’t have been more pleased with the closure which I found to be realistic and a bit unpredictable based on my personal perception of the story. A truly exciting debut. Many thanks to Carolyn Kirby, Catherine Sinow and Dzanc Books for the ARC in exchange for an honest review. Thank you, Callum! I thought it would be just another (hopefully) well-written Historical Fiction novel but it proved to be so much more. Wonderful execution of an extremely interesting premise. Love when a book surprises you! Terrific review!